Daniel Jacobs(34-2, 29 KOs) had to dig deep to beat 154lb fighter Maciej Sulecki (26-1, 10 KOs) by a 12 round unanimous decision on Saturday night to make himself the WBA mandatory challenger to WBA middleweight champion Gennady Golovkin at the Barclays Center in Brooklyn, New York. There’s little question that Jacobs won the fight. He edged it, but not by the insane scores handed in by two of the judges. The judges turned in the following scores: 116-111, 117-110, and 115–112 win. The 117-110 score looked out of place, because it was not that kind of win for Jacobs. It was a close win. At best, Jacobs won by a 115-112 score. That’s as far as I could go. He did not do enough to win by a lopsided score over Sulecki. Sulecki outworked Jacobs in almost every round of the fight. Jacobs landed the harder shots, and that’s the main reason why he deserved the win. But there were a lot of rounds that could have gone Sulecki’s win. You can argue that Sulecki did enough to win 7 or 8 rounds based on him doing more than Jacobs. Sulecki made Jacobs look a lot older than his 31-years. He looked more like a fighter in his mid-30s, especially after the fight. Jacobs’ face was swollen, and his speech was that of someone that had taken a lot of heavy shots, which he did. Sulecki had the better boxing skills tonight. Jacobs was just the stronger fighter, which was expected given that he’s the true middleweight. Sulecki moved up from the 154lb. weight division after Jacobs’ promoter Eddie Hearn selected him instead of a middleweight. It’s too bad that Hearn didn’t select WBC junior middleweight champion Jermell Charlo or IBF 154lb champion Jarrett Hurd. Either of those fighters would have given Jacobs a serious run for his money. There’s a very good chance that Jacobs would have lost to both of those guys tonight. Jacobs fought well enough to win by 2 rounds. Sulecki made it tough on Jacobs and appeared to hurt him a couple of times. 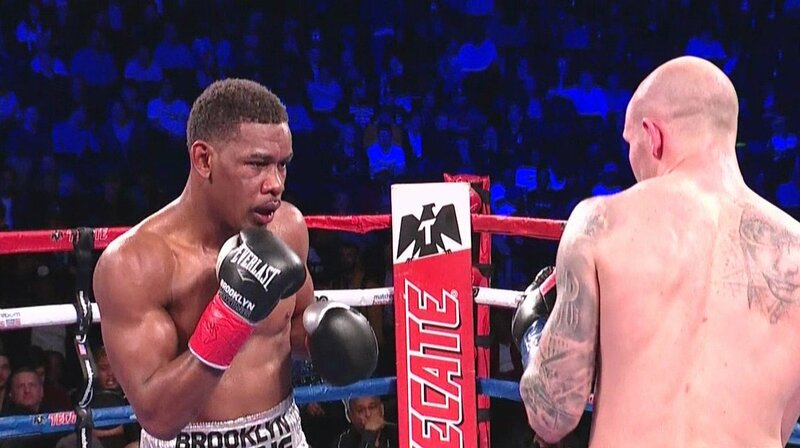 In the 12th, Jacobs scored a flash knockdown after connecting with a right hand. Sulecki got back up and finished strong. Sulecki looked like the better fighter in the remainder of the round. At one point, Sulecki connected with a right hand that knocked Jacobs backwards and he almost spun completely around from the force of the shot. After the fight, Jacobs called out WBC interim middleweight champion Jermall Charlo, saying, “Where are you Charlo.” Jacobs also said he wants to fight Gennady Golovkin and Saul Canelo Alvarez. Jacobs will eventually get a rematch with Golovkin, but he’s going to have to fight a lot better than he did tonight against GGG, because he’ll be no match for the Kazakhstan fighter if he doesn’t improve. Sulecki gained more from this fight than Jacob did. Sulecki showed that he’s got the talent to be a major player in the division. The way Sulecki fought, I think he would have beaten WBA secondary middleweight champion Ryota Murata, Demetrius Andrade and Billy Joe Saunders. Sulecki would have a hard time with Jermall Charlo, Saul Canelo Alvarez and Sergey Derevyanchenko. Those are very good fighters. Golovkin would be too power for Sulecki. In the co-feature bout, heavyweight Jarrell ‘Big Baby’ Miller (21-0-1, 18 KOs) defeated Johann Duhaupas (37-5, 24 KOs) by a 12 round unanimous decision in a WBA heavyweight title eliminator. Miller won by the scores 119-109, 119-109, and 117-111. Although Miller is the WBA mandatory challenger to WBA champion Anthony Joshua after tonight, he might have to wait until AJ fights the other WBA mandatory Alexander Povetkin. It’s possible that Miller could still get a fight against Joshua, because promoter Eddie Hearn is very interested in making that fight. Duhaupas was outworked in the fight, but he did a good job of forcing the 304 pound Miller to work hard the entire time. Each time Miller let his foot off the gas pedal, Duhaupas would start hitting him with shots to the head. The scores were 119-109, 119-109, and 117-111.